The days that led to the most exciting and highly anticipated part of every first year’s life at a B-school in India are actually a haze in my mind right now, the Summer Internship Placement process. I remember running around for the process and the fact that my first interview was with P&G. Before entering the room for the interview I was not nervous and that worked in my favor. All I would like to say to future aspirants is never think or say you can’t and go in believing you can conquer Mount Everest! My interview was smooth and once done I had a really good feeling about it and sure enough I had an offer from P&G. So now let’s fast forward to the month of March. Why is this a landmark month? Well, it was in March that all P&G Summer interns got their internship locations. And guess what mine was? It was the P&G Plant at Goa! I was least expecting Goa as my internship location. 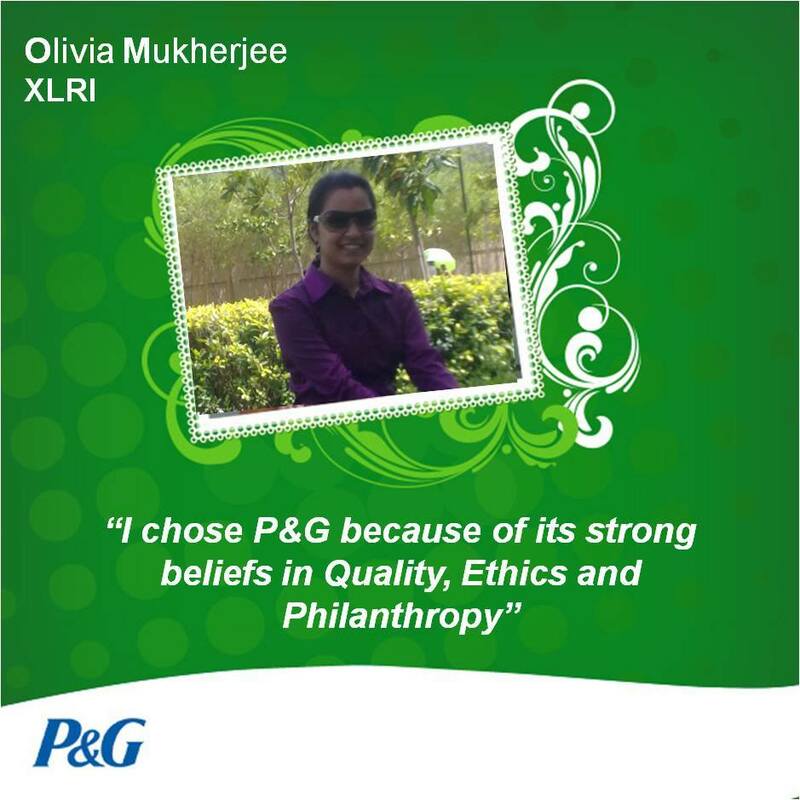 First of all seniors had told that P&G HR interns get Mumbai location as P&G is Headquartered in Mumbai. Secondly an internship is where you go to work hard and impress everyone in the organization not to enjoy and party so Goa was not the location that had crossed my mind even once. 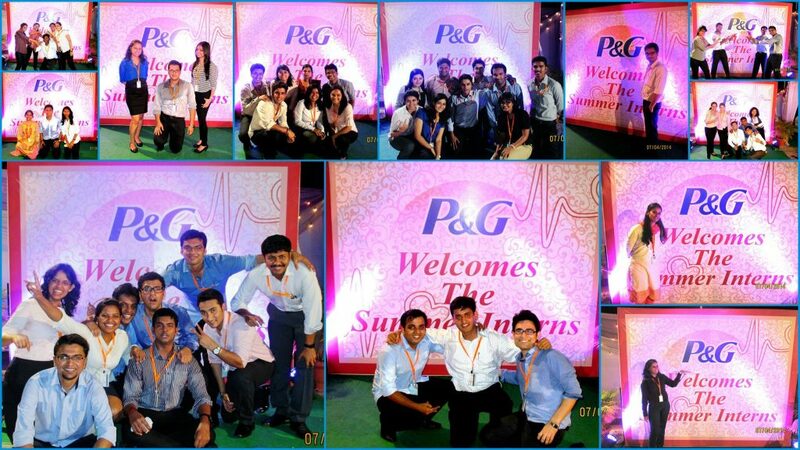 I was ecstatic seeing Goa as my location and was the envy of many in my college and in the P&G interns group. 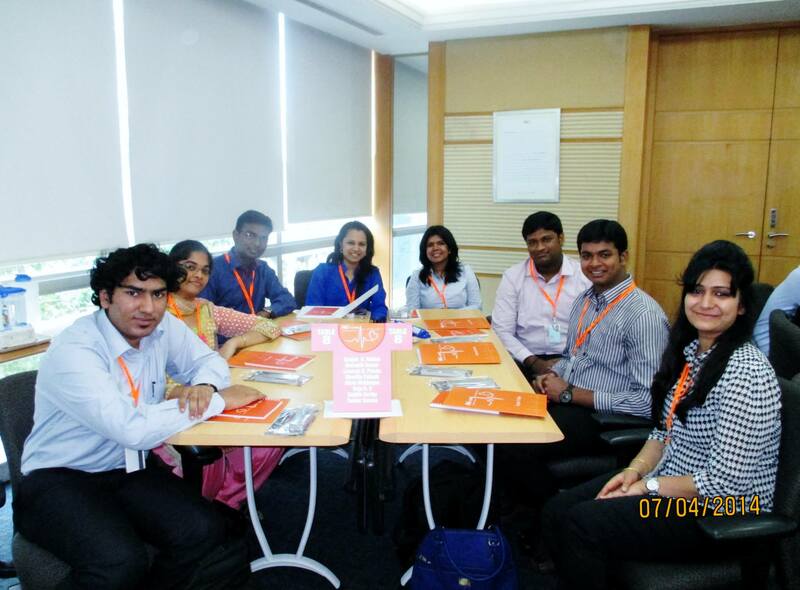 So come April all of us summer interns met in Mumbai for our orientation. Right from the orientation days I understood how well organized and systematic P&G. 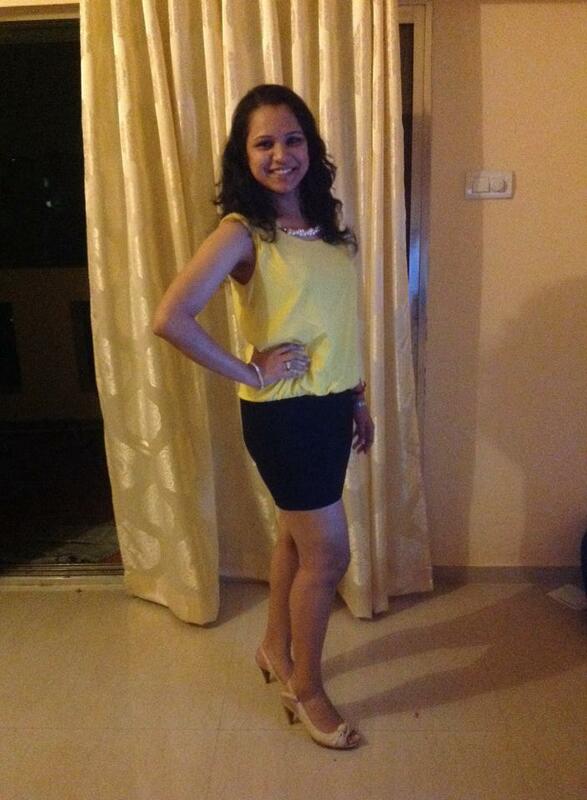 After a fun filled time at Mumbai all interns went to their locations and I landed in Goa. My last and only trip to Goa had been as a 12 year old with my parents and relatives so I was excited to be there again! My project guide, an XLRI Alumni, was the most helpful and supportive guide I could have wished or asked for. He was encouraging and was always there to guide me when I got stuck. He always chipped in with his inputs and never backed out from admonishing me when I made a mistake or felt that I could do better and applauded me for a job well done. My project Sponsor, in Mumbai was also a very encouraging and helpful person. Many times when i could not get through to a P&G manager, he would share that person’s number immediately and talk to him or her personally to introduce me. My project Mentor who was working from the Bhiwadi plant of P&G was the go to person for may doubts and all of them had immense faith in me being able to deliver results at the end of the 2 months. My project was titled- P&G Product Supply Organization strategy Renewal. Due to the confidentiality clause I cannot share what the project was about but it required me to delve into the organization strategies, business plans, and business contexts- past and future of P&G India. The Project was not totally HR oriented but had a business strategy flavor to it as well and that is what attracted me to it and I was deeply engrossed in it from Day one. 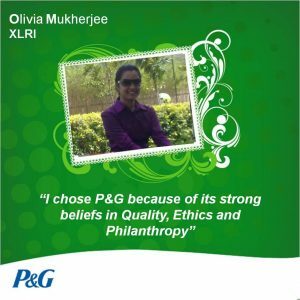 And though I was stationed in the Goa plant of P&G my project was a Corporate HR project. The most challenging part of the project was the scope and scale of it. It was overwhelming when my project sponsor explained the project to me and I was awestruck as to how I, as an intern, would be able to do justice to such a humongous task. The most encouraging and humbling part was that the project was not designed for an intern but for an employee of P&G. As put by my project Guide and my project sponsor- If we did not have an intern doing this, it would have been done by a P&G employee. The other challenging part of my project which actually became the most enjoyable part of it was the interactions I had to have daily with different leaders at P&G. I had to interact with them to gain their insights into topics related to my project and also get their opinions on various issues that I was identifying as my project progressed. In the course of my project I had touch-based with nothing less than a half century of P&G managers all over India and Asia. The best part was that everyone was approachable and so easy to talk to and very accommodating. Not once did they make me feel like an intern but treated me like a P&G employee. I interacted with Senior Leaders of P&G who were 20-30 years into the company and they were so easy to talk to, sometimes my conversations extended beyond the stipulated meeting time by half an hour or more. I had many takeaways from my internship. Other than helping me in developing and improvising my presentations skills as per the audience I also learnt how to interact with different people and manage them effectively. Time management- not just my own but also of the person I had set up time with for a meeting was something that I learnt as I worked. I also got an insight into the P&G way of doing business, specifically the models and the frameworks being practiced in the process oriented environment. I was awed by P&G’s organizational culture of treating its employees. The fact that workers in the P&G plants are not called workers but “Technicians” and that they are respected and treated like managers made me like the organization even more. The fact that none of the P&G plants in India have a trade union speaks volumes about the care and respect P&G gives to all its employees. From day one I realized how process oriented and systematic the approach of everyone in P&G is. And this sort of rubs on you and that really helped me complete all the work that was assigned to me. P&G is a very flat organization and an intern can freely interact with anyone in the organization even 3 or 4 levels above him or her. This is the USP of the organization that made me feel like an employee. I remember receiving my Project topic before the Orientation and I met my project Sponsor (manager’s Manager) at the dinner party for interns during the orientation. I asked him about my project as only the title had been shared with me. He asked me to talk to a few people in the party and figure out what my project is about on my own. So I was on a mission and spoke to quite a few people. Later I realized that I had unknowingly asked the India PS Head about my project and he had explained to me as well as he could. I’m sure in any other organization someone so senior, 25+ years into the company, would not have taken time out to entertain a very inquisitive intern on her queries on her own internship project. This is the uniqueness of P&G. 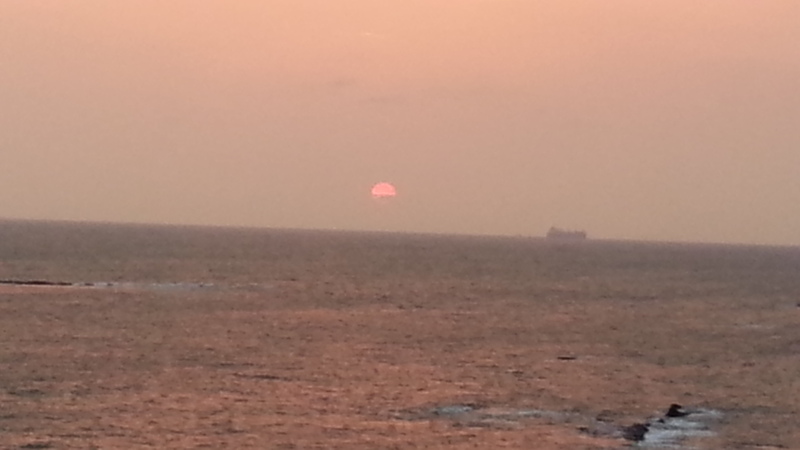 I travelled to Mumbai twice for my mid-term and end reviews and that was an added bonus. P&G sure knows how to treat its employees well and despite being an intern I was treated and pampered like an employee. The icing on the cake was the felicitation by the Country Head HR P&G- Sonali Roychowdhury at the end of my internship. Pune, my hometown went on polls in April and I wanted to vote as this would be my first time, but I was hesitant to ask my Guide for a day’s leave as I was just 2 weeks into my internship. But my Sponsor was very encouraging and he told me that if I wanted to go to Pune to vote I could as he himself had taken leave for the same purpose, all I would have to do would be to work a little extra the rest of the week. In any other organization I’m sure I would have been turned down or may not have mustered the courage to ask permission for the same. I was fortunate enough to get to see the P&G Goa plant which is a part of the feminine care division and it changed the way I viewed P&G plants/ factories. It is a highly automated plant and nothing like the factories of other organizations I have visited. Yes, I did everything I had time to do as a tourist in Goa for the first time. 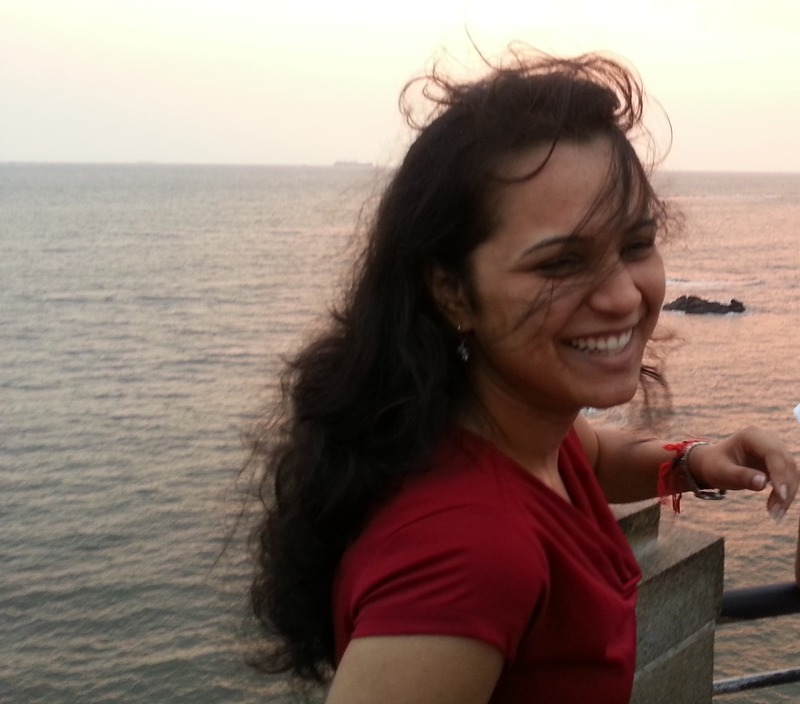 though it was off-season in Goa (April to October mid) I visited all the spots and beaches- Dona Paula, Baga, Colva, Vagator, Palolem, Anjuna, Candolim, Miramar beaches and Fort Aguada. How can I forget the night life and the casinos? 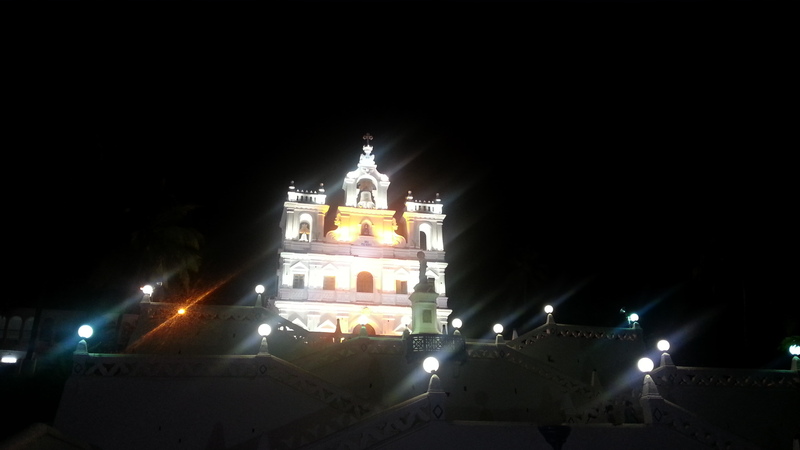 The most enjoyable part of Goa, the Goan cuisine, the beautiful churches and the sea food which was something that I looked forward to the most in Goa also deserve a mention. 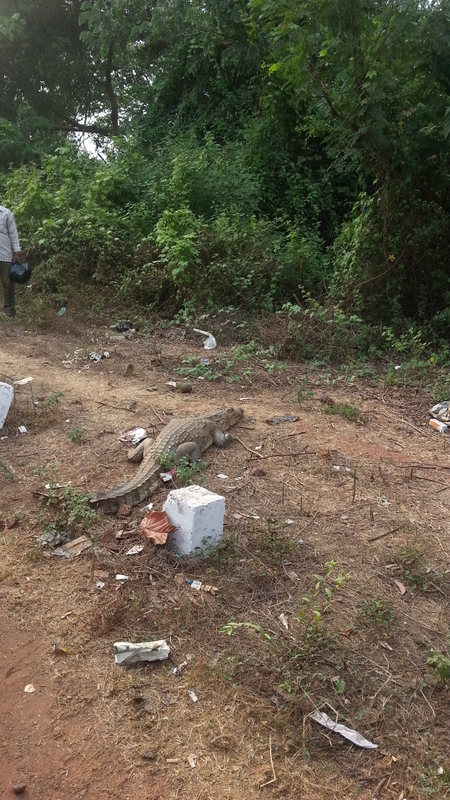 I did not need to visit the sanctuaries as on my way back from office- three days I saw wildlife right on the road, a crocodile, a peahen and a peacock and a snake! In short I could not have wished for a better organization and a better location for my internship.